Swedish state-owned energy company Vattenfall is planning to invest Skr1bn ($121m) for a large-scale solar project over the next two years. The investment is expected to support Vattenfall’s objective to become fossil-free within a generation and will help to develop new industrial solarpower plants during 2018-2019. The Swedish power company will also focus on developing small-scale solar solutions for customers. 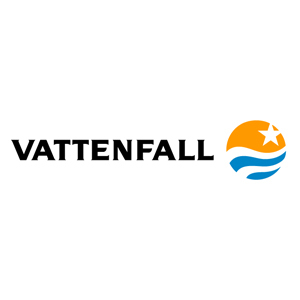 The energy company will focus on developing large-scale photovoltaic (PV) technology at locations where Vattenfall has already established the relevant infrastructure. Additionally, the company will concentrate on facilitating decentralised energy generation for both private customers and business customers. By decentralising energy generation, Vattenfall intends to create new solutions for its customers that will enable them to generate and consume their own solar PV electricity. Recently, the Swedish company has decided to invest in its existing large-scale solarpower plants located at Velsen, Hemweg, and Eemshaven (the Netherlands). The investment at the three solarpower facilities would result in the generation of 10.5MW. Vattenfall intends to make more investments in its Haringvliet facility this year and will see a solarpower infrastructure of more than 130,000 panels that will have the ability to produce nearly 40MW renewable electricity. The Haringvliet solarfarm will be combined with Haringvliet windfarm, which includes six turbines. Vattenfall said it has applied for several permits for combining its other solarfarms with windfarms.